Maciej is a technically skilled leader, technology enthusiast, and entrepreneur. 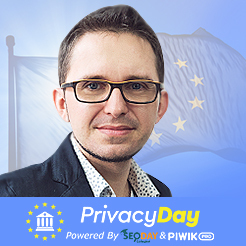 CEO at Piwik PRO - GDPR compliant analytics and marketing platform for enterprises and Clearcode - world's leading software house specializing in building custom advertising and marketing technology (AdTech/MarTech). Earlier in his career, founder of Kanary, the company offering NEST* Marketing Platform, acquired in 2014 by Gravity4, an American Silicon Valley startup.